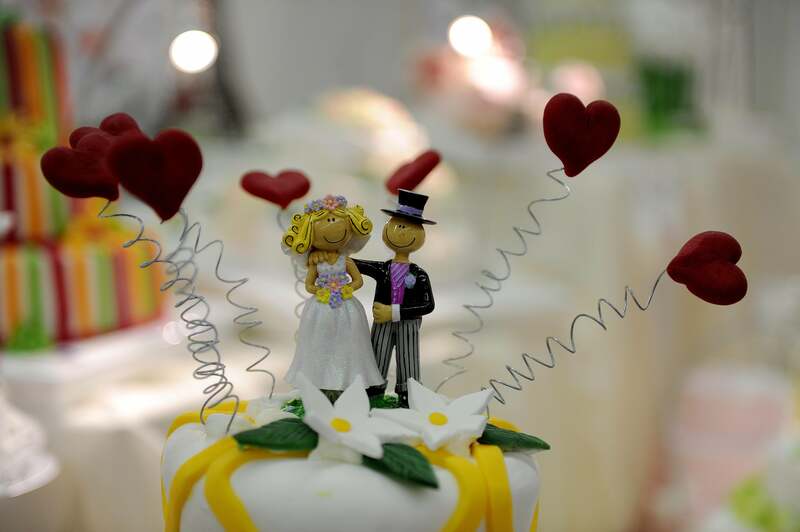 Marriage and breakups: What is it like to cancel your wedding? What Does It Feel Like to Cancel Your Wedding? Canceling the cake is easy. Relief: I had been debating it for a long time; I even talked to my ex-fiancé about it, and my gut was telling me to leave, but logically, I felt like the problem was not insurmountable. Fact is, just understanding the problem was profoundly difficult and confusing (because the problem involved family who had their own serious problems). Anger and sadness: Amid the relief, I simultaneously felt incredibly sad. In my case, it was because I felt like I had such a vision of our life together, and I felt that people outside of the relationship ruined it. I felt I had done everything I possibly could, and I couldn’t fix it, and I was angry that it was so outside my control that I had to finally admit defeat. I had not only lost my relationship, but also a dream of a life. Haze: Because I felt like I lost a dream, I spent the following days in more or less a haze. There were ups and downs, but I felt kind of like an unfeeling zombie, partly compartmentalizing, and just going through the motions focusing on the immediate task. It was also surprisingly easy to cancel a wedding. All the months of meticulous planning, now you shoot one email, they shoot one back apologizing and confirming the cancellation and it’s over. We lost some deposit, but thank goodness we kept it a small affair. Surprising support: it wasn’t surprising that my friends and family would be supportive, but it was surprising just how supportive they were, in the sense that I discovered things I never knew about them. This included similar family dramas that have hurt them or even people that had downright positive reactions to my decision because they wanted to cancel their own weddings but didn’t. It was a relief to be able to open this topic to discuss with people that I hadn’t previously confided in. Family reaction: This was tricky. My parents were supportive; they immediately accepted my decision when I explained it to them and helped out with a lot of logistics. Emotionally, though, they were completely unprepared because I didn’t tell them about my doubts before, so it was a complete 180 for them. My mother would call me to discuss something about my relationship because she was hurting too, except I had spent months before canceling the wedding processing the issues whereas she was only starting to. The hurt for her is not due to cancellation of a wedding but complete loss of a happy reality. And it definitely didn’t help that although I could mass email my friends canceling the wedding, my parents had no easy channel to tell their friends that I was no longer getting married (the wedding guests would’ve been our friends only), so they would have to explain the situation every single time their friends asked about the wedding, opening up that wound again and again. Freedom and fun: Well, this is not unique to a wedding breakup, but for both me and my ex-fiancé, even though we broke up, we maintained contact, and both of us were both happier both individually and with each other afterward, and that is how we knew that canceling the wedding was the right thing to do. Lastly, the hurt takes a long time to go away. It’s not just a wedding breakup of course. It’s the same with any really serious relationship that went awry. I think these relationships are different because I had dreams of a life attached to the relationship. When we were happy. I could see us growing old together and what our family would look like. It was so clear. (Incidentally, I knew I wanted to end it because I could no longer picture it as the wedding date grew closer.) So breaking up a wedding is like losing a dream, and you basically go through all the stages of grief, and then the stuff you feel even after you’ve accepted the loss. I would tear up talking about what happened even after two years, when I am involved in another serious and happy relationship. I knew that the old pain and my new happiness are not related at all; it’s just pain in general takes a while to be fully processed. And it has now, finally: I saw this question a long time ago but could not bring myself to write it without crying, but now I can. So canceling a wedding is like a breakup except it is more public. You can either choose to feel embarrassed about or use it as an opportunity to open up to others and heal. There is collateral damage: Your decision probably hurt someone, but it’s not because you made a bad decision, but because that third party is suffering the shock of going from ultimate happiness to loss. And going from a serious relationship with future plans to breakup is traumatic, so expect the pain to last even a little bit longer than a regular breakup. What Does It Feel Like to X? : What is it like to defuse a bomb? Weddings: Economically, how do you explain why weddings are so expensive? What Does It Feel Like to X? : What was it like to be at Brown with Emma Watson?